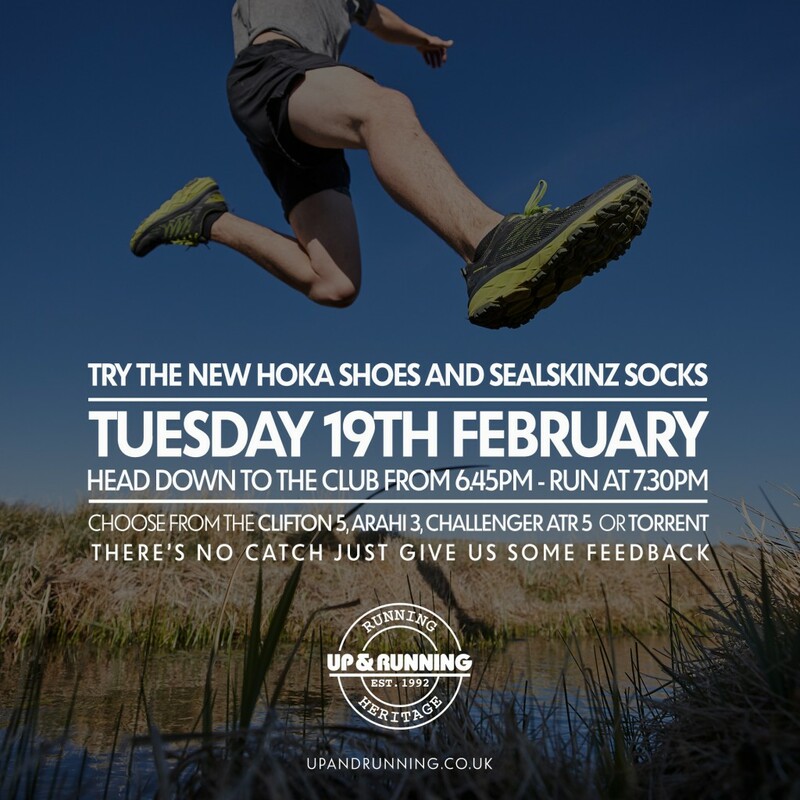 Next Tuesday’s session will also include a chance to try on Hoka shoes and Sealskinz socks, courtesy of our friends at Up & Running Harrogate. Arrive from 7pm for the try-on. The session will be held at the Cricket Club on grass.